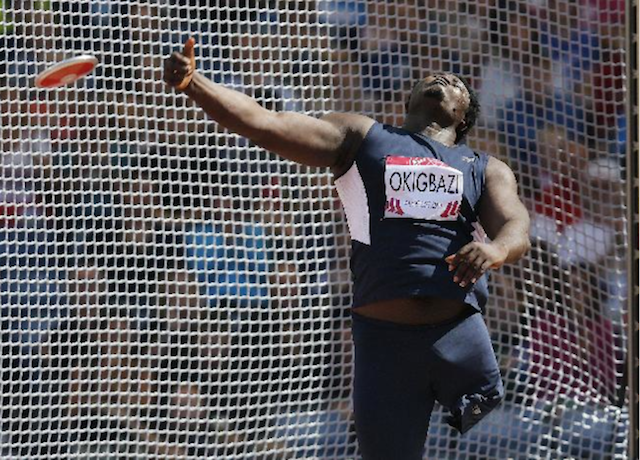 Watch Richard Okigbazi win Bronze in Discus For Nigeria – THROWING ON ONE LEG! Having gotten to experience singing the National Anthem THREE times in a packed Hampden Park in Glasgow last week (for GOLD medals in women’s 100m, 200m and Long Jump), there is one certain line which resonated very well with onlookers in the crowd as we belted out each line with immense pride at being Nigerian: “The Labour of our heroes past shall never be in vain!” Let’s make sure that the labour of Richard Okigbazi in doing Nigeria proud at the Commonwealth Games, and the labour of all our Para-Athletes past and present shall never be in vain. 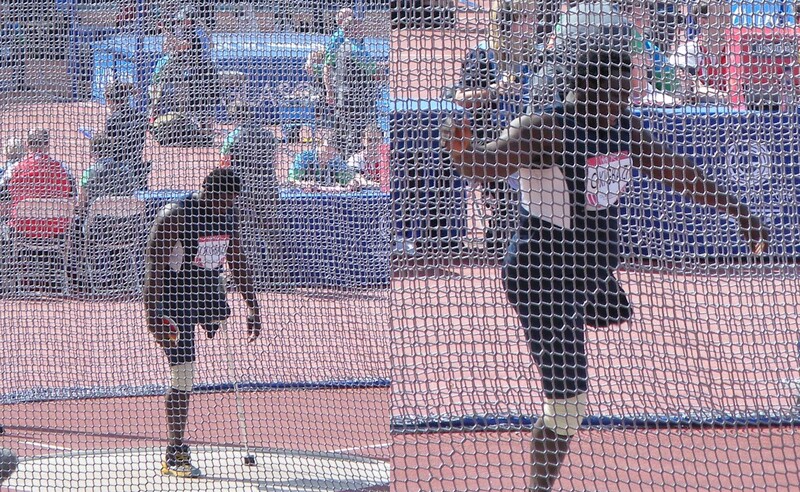 by throwing 39.38 metres in the F42/44 Discus – THROWING ON JUST ONE LEG! While our able-bodied athletes were not able to get a single medal at the London 2012 Olympics, our Paralympians won TWELVE medals in all – SIX GOLD, FIVE Silver & ONE Bronze, but they don’t get nearly as much praise or recognition for the feats they achieve in the face of great adversity. Let’s celebrate them and continue supporting them, financially and otherwise, to continue putting Nigeria on the map globally! Share this story with someone today, to inspire them to greatness despite whatever challenges they may face. 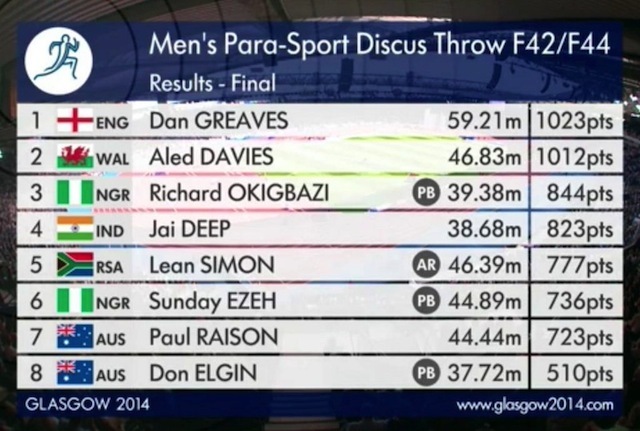 CONGRATULATIONS Richard Okigbazi, COMMONWEALTH BRONZE MEDALLIST! Onwards and upwards to Rio! 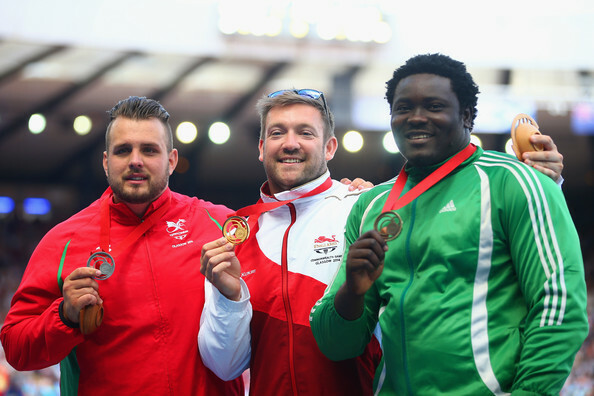 (L-R) Silver medallist Aled Davies of Wales, GOLD medallist Dan Greaves of England and Bronze medallist Richard Okigbazi of Nigeria for F42/44 Discus at 2014 Commonwealth Games! 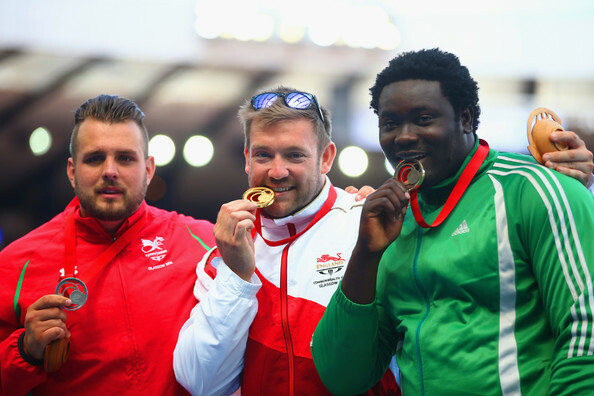 ← Final Day of Athletics is Silver Lining for Nigeria, with 4×1, 4×4 & Triple Jump medals!